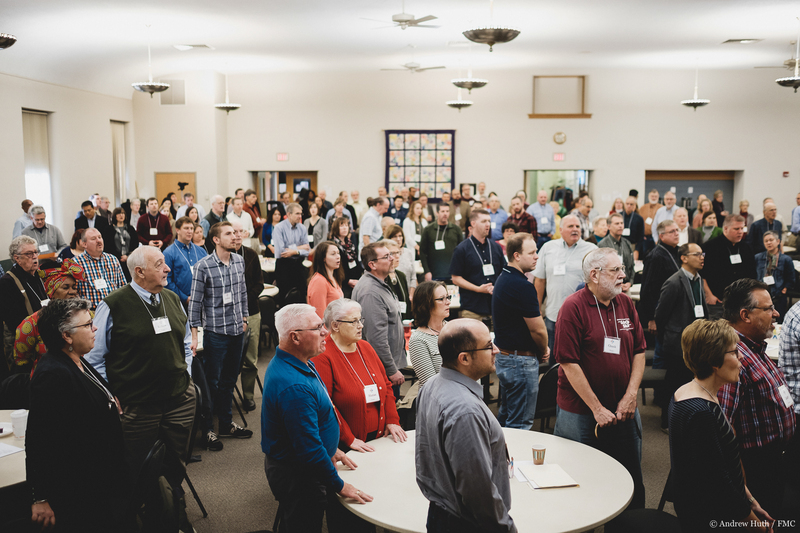 Eastern District and Franconia Mennonite Conference again gathered jointly for fall assembly, November 2-3 at Souderton Mennonite Church. 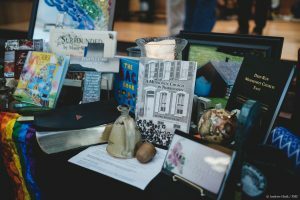 Under the theme of “We are one in the Spirit, through the bond of peace,” over 300 persons gathered for a historic reconciliation worship between the two Conferences, who share an origination in the Mennonite settlement of the Philadelphia area, but separated in 1847 over differences in practice. The worship service was planned as part of a second phase of process leading toward the possible reconciliation of the Conferences in 2020. With multilingual worship that highlighted the conferences’ linguistic diversity, the Spirit was evident in the fluidity of language and singing together between Indonesian, Spanish and English. 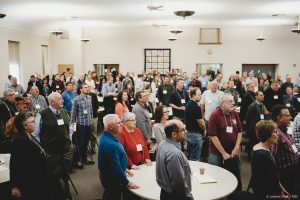 Saturday morning sessions included joint meetings led by the shared structure and identity task force which represents both Conferences, which focused conversation around tables on eight areas in which each Conference operates somewhat differently. The meetinghouse’s fellowship hall was full to overflowing, with excellent intergenerational representation across the Conference communities. 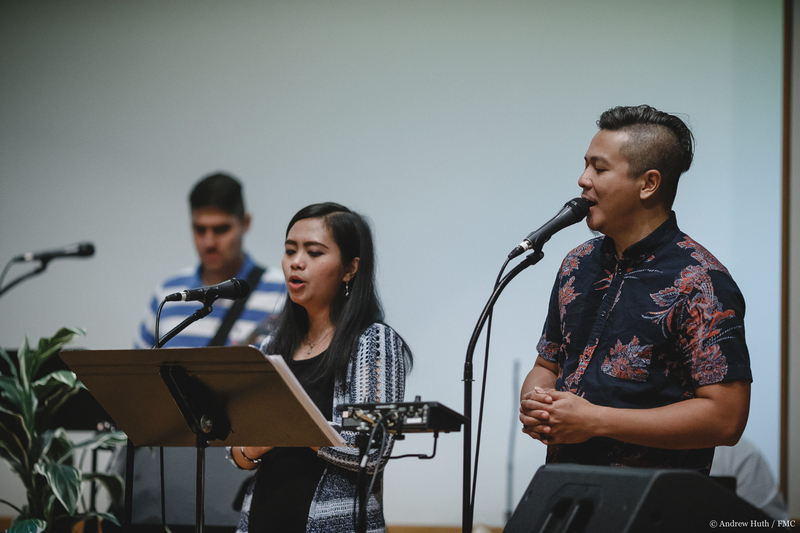 Saturday Morning worship again was led by the multilingual team and featured the remembrances of recently deceased credentialed leaders and recognition of newly credentialed persons. 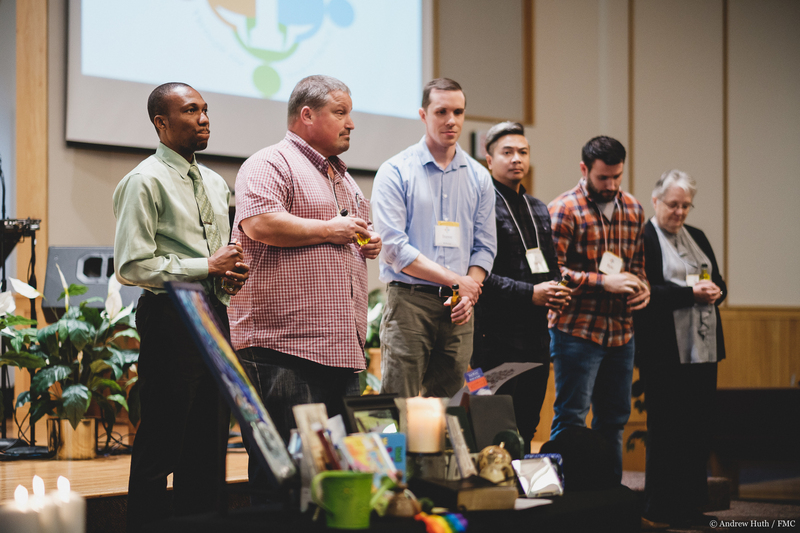 The seven newly credentialed leaders then received a bottle of anointing oil, were prayed for and anointed, and then turned to anoint others in an emotion-filled time and space for Conference leaders. Afternoon sessions included more conversation in smaller “Digging Deeper” groups on the areas discussed in morning sessions, which were led by the structure team members. The teams received extensive feedback which will be used to form a proposal for a reconciled Conference structure at a joint spring assembly to be held May 4, 2019. The day ended with each Conference meeting in separate business sessions. 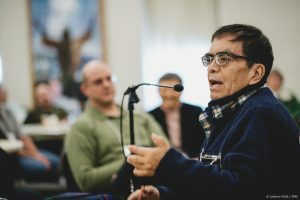 This session for Franconia Conference included recognizing new and re-emerging Partners in Ministry with a greeting from Carlos Martinez Garcia of Mexico City who is moderator of the Counsel of Evangelical/Anabaptist/Mennonite Churches of Mexico. This association was begun by mission workers from Franconia Conference and will celebrate their 60th anniversary next year. The Conference also recognized new partner Slate Hill Mennonite Church of Mechanicsburg, who sent representatives for the first time. San Francisco Chinese Mennonite Church was welcomed as a new member congregation after a year of relating and exploring the meaning of membership with a Pennsylvania-based Conference while being from California. Pastor Joshua So along with his wife Anita attended the assembly to represent the congregation. 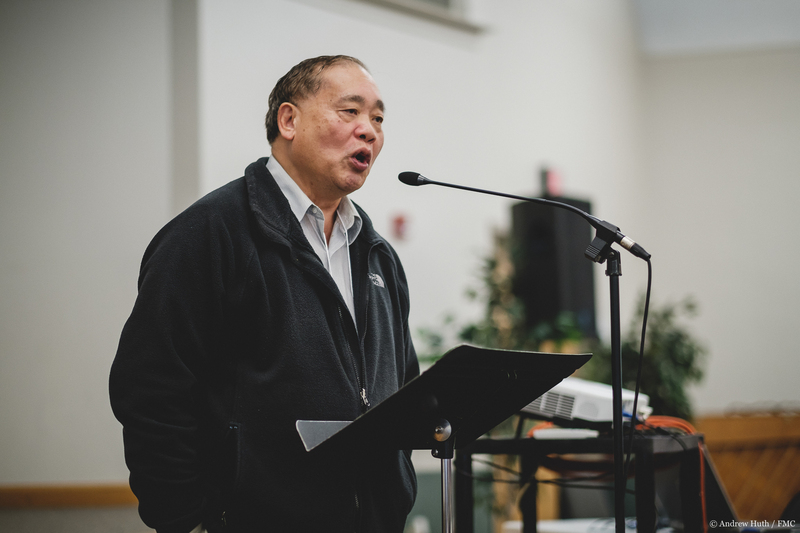 San Francisco Chinese joins three other communities from Southern California who joined last year, and will be served by Jeff Wright as the California-based leadership minister. Kiron Mateti of the Plains congregation was affirmed for his first term on the Conference board beginning next year. Cory Longacre of Souderton congregation also was affirmed for a term though he had been filling in for an unexpired term of another board position. Angela Moyer of Ripple congregation in Allentown was affirmed as Conference assistant moderator.